Our website provides the agent, manager, and publicist contact details for CeeLo Green. Whether you are looking to get in touch with CeeLo Green's agent for an event, or CeeLo Green management for an endorsement, we can provide you the best and most accurate contacts. If you have any questions on how to use our service, you can contact: support@bookingagentinfo.com. Book CeeLo Green. CeeLo Green email, contact CeeLo Green management, CeeLo Green manager for business, bookings, pricing, hire. 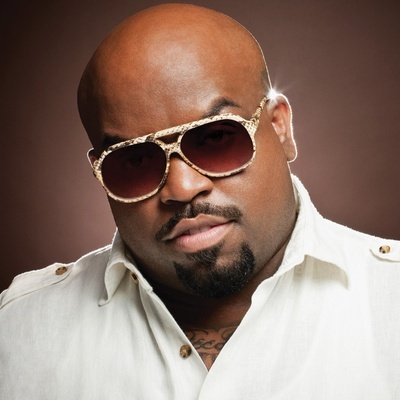 Known to the world as Cee-Lo Green, Thomas DeCarlo Callaway was born on May 30, 1975, in Atlanta, Georgia. After a tumultuous youth - he lost both of his parents by the time he was 18 - he decided to pursue a career in music to capture his attention away from his loss. He joined the Atlanta-based hip hop group known as Goodie Mob, and together they lent vocal appearances on OutKast's debut album Southernplayalisticadillacmuzik in 1994, the year before they released their debut album Soul Food and later Still Standing in 1998. As a solo artist, Cee-Lo Green released his debut album Cee-Lo Green and His Perfect Imperfections in 2004, yet in the wake of poor record sales, he teamed up with DJ Danger Mouse to create the duo Gnarls Barkley. Together, they released the albums St. Elsewhere in 2006 and The Odd Couple in 2008, gaining fame with their rendition of the song "Crazy" in 2006, for which they won a Grammy Award. Again pursuing a solo career, Cee-Lo Green released the albums The Lady Killer in 2010, led by the single "Forget You" and later Cee Lo's Magic Moment in 2012. Throughout his career, he has won a handful of awards, including five Grammy Awards and a BET Award. In addition to his singing career, he also appeared as a judge on the televised singing competition show The Voice from 2011 to 2014. Cee-Lo Green's contact information is available for you to look at. We have Cee-Lo's manager information, along with his booking agents info as well. If you want the Cee-Lo email address for his management team, or booking agency, we have that available for you to view by signing up. You can find the Cee-Lo booking info and booking price here. How can I book CeeLo Green? You can hire and book CeeLo Green by contacting the official agent of CeeLo Green. CeeLo Green agent will be able to provide you with availability and pricing. You can get the contact details for CeeLo Green agent in our database. You will want to get in touch with the press team of CeeLo Green. Contact CeeLo Green’s publicist to inquire about any media inquiries. You can get the contact details for CeeLo Green press team at Booking Agent Info. How can I contact CeeLo Green management? The contact details for CeeLo Green management can be found here at Booking Agent Info. You can get access to all of CeeLo Green contacts by signing up and becoming a member. What is the CeeLo Green booking fee? You can get the fee to book CeeLo Green for an event, endorsement, or any type of business engagement through CeeLo Green's agent. Booking Agent Info provides booking price estimates, but you would contact the agent to get official pricing. ..with the contact information for CeeLo Green agent, manager, and publicist. Our site is meant to assist you in finding how much does it cost to book CeeLo Green for an event, and how to book CeeLo Green. Our database can be used to assist you in getting CeeLo Green endorsements, interviewing CeeLo Green, or to hire CeeLo Green for an event.